And there is no such thing as a Belgian waffle … but rather multiple different varieties including the Brussels Waffle (lighter, crisper and generally served with cream, fresh fruit or chocolate spread) & the Liege Waffle (an adaption of brioche bread dough – they are richer, denser, sweeter & chewier and normally enjoyed plain, with cinnamon or vanilla) to name a few. Which is why we think that it was time to share some of our favourite recipes for waffles from our blogger community. And we love how Sylvie of Les Gourmandises de Sylf created Waffle Cookies! 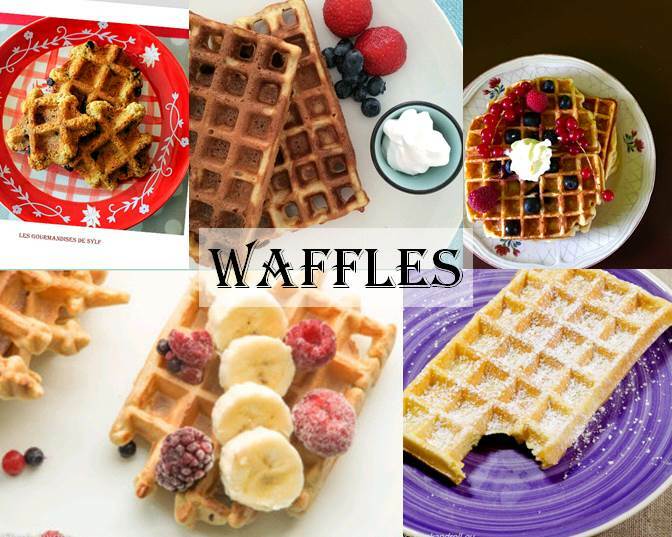 Do you have an Waffle recipe that you wish to share with us? Just add the link to the comments section below!